What’s New? Computers of Today, Money and Electricity. History Topic! Computers of the Past. Conversation Topic. Time Expressions, Collocations and Prepositions. Speaking Practice. How to tell someone time. Basic Grammar Review. What do Adjectives do in English? English Grammar. The Eight Parts of Speech. 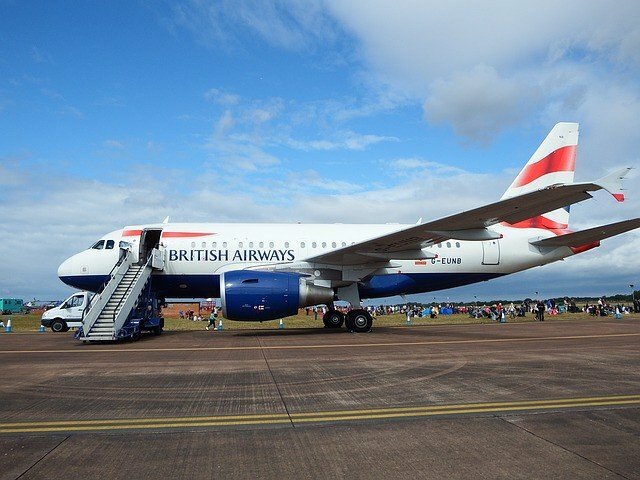 British Airways’ mass systems failure and cancellation of flights during one of the UK’s busiest travel weekends of the year may have been down to “cost cutting” under a new CEO. The company has denied the claims. After an unidentified “power supply issue” caused the delay and cancellation of more than 1,000 BA flights, focus has narrowed to CEO Alex Cruz and what unnamed colleagues have described as his “slash and burn” management style. nd several videos to explain why tens of thousands of passengers were caught up in the travel chaos, and he issued an email to staff, warning them to “refrain from live commentary”. Mr Cruz, whose company could be facing a compensation bill of £150 million including delivering passengers’ luggage by courier back to their homes, shut down the airline’s computer department last year, slashing 700 jobs in the UK. He then outsourced the company’s IT systems to Indian firm Tata Consultancy Services. 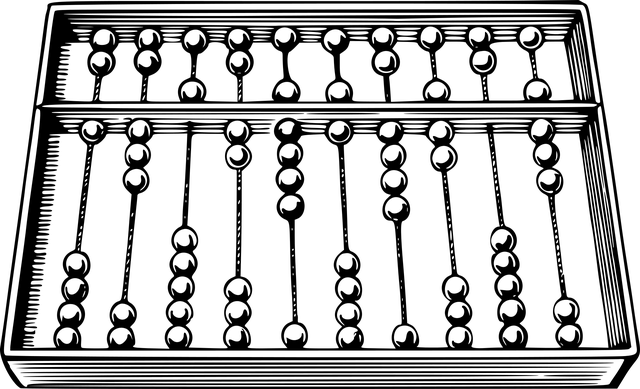 The abacus was initially used for arithmetic tasks. The Roman abacus was developed from devices used in Babylonia as early as 2400 BC. Since then, many other forms of reckoning boards or tables have been invented. In a medieval European counting house, a checkered cloth would be placed on a table, and markers moved around on it according to certain rules, as an aid to calculating sums of money. Charles Babbage, an English mechanical engineer and polymath, originated the concept of a programmable computer. Considered the “father of the computer”, he conceptualized and invented the first mechanical computer in the early 19th century. After working on his revolutionary difference engine, designed to aid in navigational calculations, in 1833 he realized that a much more general design, an Analytical Engine, was possible. Read more here. Thank you Wiki. 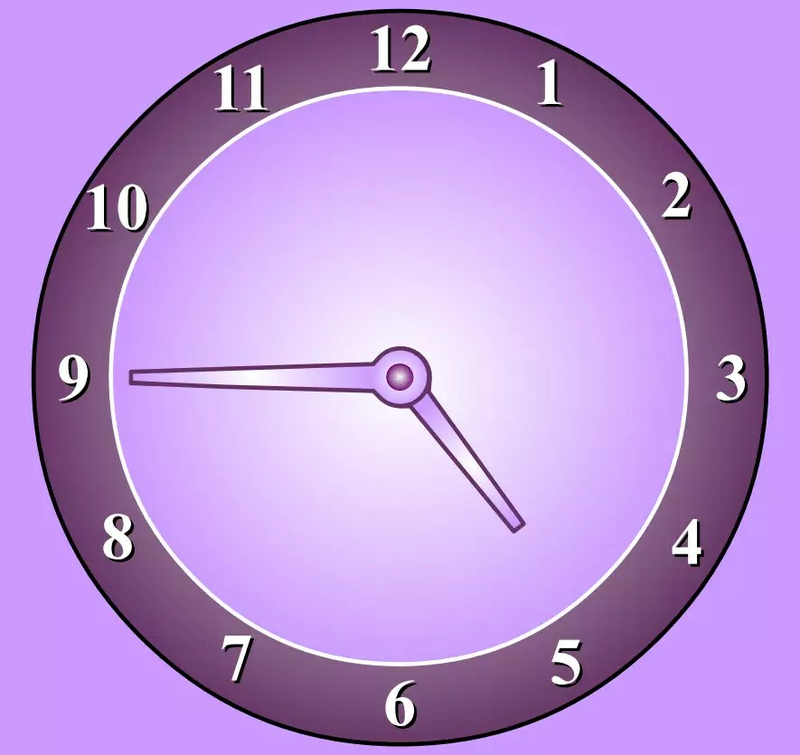 In English, there are an uncountable number of ways to refer to time. Then there is the difference between American and British English. The main idea is to recognize that communication is always the main goal. If you are speaking with someone and they fully understand what you are saying, that is perfect English. Here are a few examples of time expressions. While they might fall under several different categories of grammar, time expressions are simply time expressions. Do not worry about why expressions are formed the way they are. More importantly, learn the time expression and it’s meaning. Most time expressions are based more on “Collocations” than general rules for “Prepositions”. Negative questions are also common in spoken English. Isn’t it a lovely day? Aren’t we going to the park today? These are examples of negative questions. The main idea with negative questions is that we previously discussed or planned a future event. It’s a quarter to five. This is probably the most common way of stating this time. Other possibilities are, It’s a quarter of five or It’s fifteen till five. It’s four forty five, is rarely heard in casual conversation. Fifteen minutes after the hour would usually be expressed: It’s a quarter after five or It’s a quarter past five. We also hear, It’s five fifteen. This is less frequent in casual conversation. An alternative form for five thirty is half past five. For times other than the quarter hours or half hour, numbers are used. Examples are, twenty past five or twenty after five, ten to five or ten till five, etc. Frequently the speaker will omit the “It’s” or “It’s a” and answer simply “A quarter to five or Quarter to five”. Some speakers omit or obscure the a, “It’s (a) quarter to five”. Aren’t we supposed to be…? Notice that the negative question here indicates, as it usually does, the speaker’s belief that his assumption is true. He expects an positive response, a confirmation of his assumption. Supposed to or expected to, obliged to is not as strong as required to. This meaning of suppose occurs only in the passive. Other examples: I’m supposed to prepare a program for our English Club meeting next week. They were supposed to be here an hour ago—I don’t know where they can be. We’re supposed to practice the dialogues at home, too. Children are supposed to obey their parents. Here is an example of reported speech: “He said it didn’t. In conversation the conjunction “that” (He said that it didn’t…) is generally omitted in reported speech, as here. Notice the sequence of tenses: said… didn’t. Where the verb in direct speech would be in the present tense: “Shall we come at five or five thirty?” “Either example is correct. It doesn’t make any difference”. It is past tense (didn’t) after a past tense introductory verb (said): He said it didn’t make any difference. For a further explanation of “Reported speech”, refer to our website or other grammar resources. Margaret: What time is it? Toni: It’s a quarter to five. Margaret: Aren’t we supposed to be at Jim’s house by five o’clock? Toni: Five or five thirty. He said it didn’t make any difference. Margaret: Then maybe we could pick your suit up at the cleaners. Toni: Sure, we have plenty of time. These are just a few examples with time expressions. There are many more in the English language. In these few examples, you notice short answers. Remember that questions in English generally require a full sentence while answers do not. What do Adjectives do in English? Adjectives are simple describing words that give information about nouns, pronouns and feelings. That said, remember about that job thing. Just because an adjective is generally used to describe, they can also take on other jobs in the English language. For instance, the word “Blue” is generally considered an adjective to describe an object. However, when the letter “A” is used before the word “Blue”, it becomes a noun. “A table, a chair, a book, a blue”. “A blue is another word for “Pill or capsule”. These are simple examples of nouns. “I am feeling blue” is a great way to learn the basic concept of an adjective. 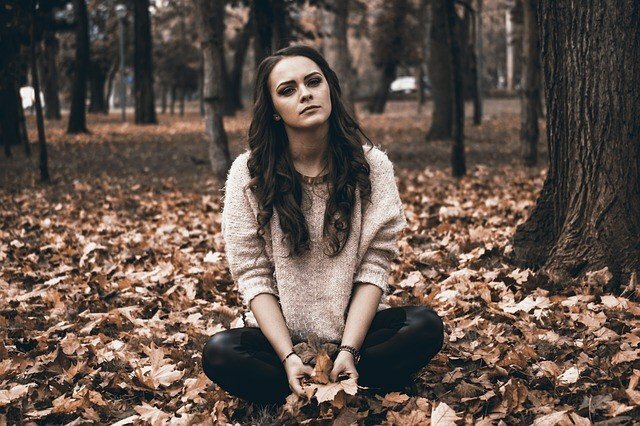 The statement “I am feeling blue” means the same as “I am feeling depressed”. The simple concept that a word is just a word until we use it in a specific way is a great method to help with better grammar understanding. Don’t forget that the word “Blue” is also used as a verb. “To blue that shirt” means “To make it a different color. Don’t confuse the word “blue” as an adjective with “blue” as a compound noun. That example would be “Blue jeans”. Just remember that a word is just a word before we give it it’s assignment. What is that words job? This is what determines what we refer to a word in a grammatical sense. An adjective is any word that helps describe a noun, pronoun or feelings. What is a noun?A word which is a person, place, thing or idea. Nouns can be countable or uncountable. Examples: Mount Everest, book, horse, Peter, strength, car, Empire State Building, China, house, child, chair. What is an adjective? A word used to describe a noun, pronoun or feeling. There are various types of adjectives. Examples: Proud, purple, French, few, this, huge, sad, happy, excited, exciting, second and so many more. What is a verb? A word that indicates an action, state or feeling. Examples: Play, run, think, study, smell, wait, be, drive, renounce, fill. like, love, enjoy and more. What is an adverb? A word that modifies a verb, adjective, a sentence or another adverb. Examples: Carefully, never, ever, rarely, often, very, intelligently, quietly, too, rarely, never, fast, quick and many more. What is a conjunction? A word that is used to join clauses, words or groups of words. Also, conjunctions are used to connect two sentences into one or more complex sentences. Examples: and, or, but, neither, because, while, since, although. What is a preposition? A word used indicating the relationship between a noun or pronoun to another word. There are numerous prepositions in English used in a variety of manners. Examples: in, on, at, until, of, from, after, under, beyond, across, towards and below just to name a few. What is an interjection? A single word used to express strong emotion. Examples: Wow! Ah! Oh! No! Oh My God! Yes! The Eight Parts of Speech create the foundation to the English language. Without a strong foundation, just like anything else, understanding and speaking perfect English, just would not be possible.